Consumer groups are pressing the National Highway Traffic Safety Administration to investigate complaints of spontaneous Kia and Hyundai fires. These fires are unrelated to crashes. The group filed a formal petition asking NHTSA to research four models all from the years 2011-2014. The spontaneous fires have injured at least six people. However, there are nearly 200 complaints in the database. Other organizations have nearly 500 complaints of melted wires in the engine bays, smoke or burning odors indicating potential fires. In 2014, separate consumer groups have begun asking for the National Highway Traffic Safety Administration to investigate Kia and Hyundai fires. One of these groups wrote to Florida Senator Bill Nelson pointing out 402 fire complaints with and without collisions. Then, Senator Nelson and the nonprofit Center for Auto Safety approached NHTSA to investigate. The agency said they had not found any problems unless there was a crash. However, the Senator found at least 23 reports of spontaneous fires in Hyundai and Kia vehicles since 2014 in Florida alone. Plus, the Center for Auto Safety found 120 fire complaints that didn’t involve crashes. Previously, Hyundai Motor Group recalled more than a million cars for an engine defect. These recalled cars are the same models spontaneously catching fire. However, many feel this is completely unrelated to the engine defect. In fact, there are almost 400 Kia and Hyundai fires without any engine issues. In May 2018, Hyundai and Kia recalled 37,000 hybrid vehicles. The cars had an oil leak that could result in a fire. The leaking oil could drip onto parts of the engine and cause an electrical short. Then, the short leads to a fire. Most of the vehicles had HEV warning lights illuminated before the spontaneous fires. Affected vehicles include the 2017 Hyundai Ioniq and the 2017 Kia Niro. Then, even another pointed out damaged connecting rod bearings that caused the engines to fail. Metallic debris filled Sonata, Tucson and Santa Fe vehicles engines. Even a South Korean engineer from Hyundai admitted the engines had problems. 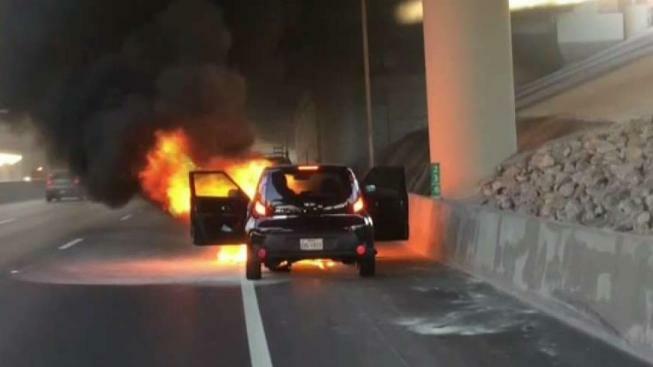 If you or someone you know experienced a spontaneous fire from a Kia or Hyundai vehicle, you may be eligible for compensation to ease the financial and emotional burdens you are experiencing. Contact us today to set up a free consultation, during which we will listen to your story, answer any questions you may have and discuss your legal rights and options. If you choose us to represent you, we will work with you on a contingency fee basis; this means you pay nothing until we have secured compensation for you, either through a jury verdict or settlement.